Aaron Stanley is an aircraft mechanic-turned-meteorologist and aurora photographer. He’s currently living at Davis Station, Antarctica, supporting the Bureau of Meteorology’s Upper Air Programme. His website (with awesome aurora photographs!) can be viewed here. David Hunter will be running Aurora Australis forecasting and introductory photography workshops on 27th and 28th August. These will be the first in a series of such workshops that will be held throughout the nation over the coming months. Further details and ticket sales will be available via our website by the 20th July. David was interviewed for the Astrophiz Podcast earlier today. The interview will be posted at some point during the week commencing 20th July (all going to plan). You can check out the Astrophiz Podcast at their website. Finally, some more exciting news. We have established a new Facebook group specifically for those interested in receiving David’s aurora predictions (and general aurora chat and networking). It’s called the ‘Southern Hemisphere Aurora Group’ and can be found here. This is the first episode of our new podcast! 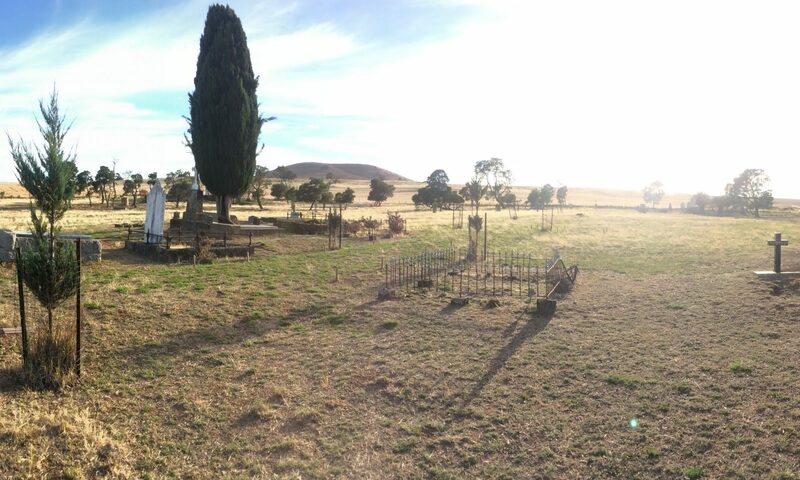 The Cemetery at Badgery’s Creek, west of Sydney in New South Wales, is being relocated. If you have family interred at the cemetery, please call 1800 038 160 by this Tuesday (6th April 2016). Many listeners will know Margaret Sonnemann, the creator of the popular Aurora Australis Tasmania group on Facebook. After overcoming a terminal illness last year, Margaret is now hoping to get her life back on-track and is raising funds to pay for her to attend the Angel Academy of Art in Florence, Italy. Margaret has set up a Pozible.com fundraiser and she would be most grateful for any donation you can manage. Please click here to hear Margaret’s story and make a donation.